The US-led Coalition's ongoing failure to admit to—let alone adequately investigate—the shocking scale of civilian deaths and destruction it caused in Raqqa is a "slap in the face" for survivors trying to rebuild their lives and their city, said Amnesty International a year after the offensive to oust ISIS. On Oct. 17, 2017, following a fierce four-month battle, the Syrian Democratic Forces (SDF)—the Coalition's Kurdish-led partners on the ground—announced victory over ISIS, which had used civilians as human shields and committed other war crimes in besieged Raqqa. Winning the battle came at a terrible price—almost 80% of the city was destroyed and many hundreds of civilians lay dead, the majority killed by Coalition bombardment. In a letter to Amnesty on Sept. 10, 2018, the US Department of Defense made clear it accepts no liability for the civilian casualties it caused. The Coalition does not plan to compensate survivors and relatives of those killed in Raqqa, and refuses to provide further information about the circumstances behind strikes that killed and maimed civilians. In Episode 20 of the CounterVortex podcast, Bill Weinberg discusses the forgotten legacy of libertarian socialism—considered by many today a contradiction in terms. While the word "socialism" is suddenly viewed as legitimate in American political discourse again for the first time in generations, the word "libertarian" continues to be associated with the free-market right—despite its origins on the anarchist left. Weinberg discusses his own involvement in New York's Libertarian Book Club—founded by anarchist exiles from Europe in the 1940s, to keep alive their ideals and pass the torch to a new generation. Libertarian socialists seek inspiration in such historical episodes as the Zapatistas in Mexico (1910-19), Makhnovists in Ukraine (1917-21), Spanish anarchists in Catalonia (1936-7), and Zapatistas in Mexico again (1994-date)—peasants and workers who took back the land and the factories, building socialism from below, without commissars or politburos. 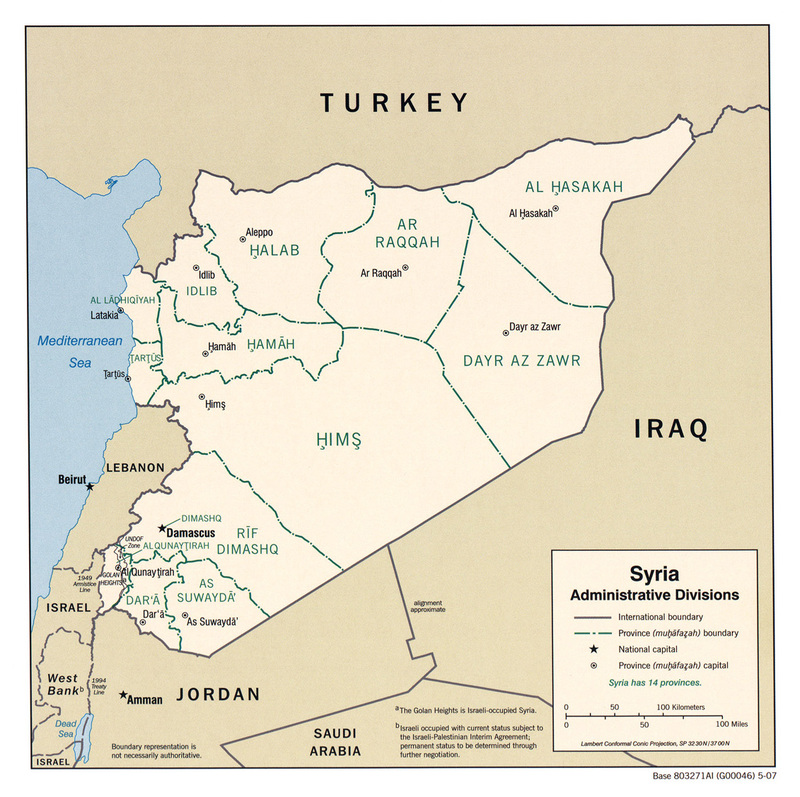 Other movements inspired by this vision on the world stage today include anarchist-influenced elements of Syria's civil resistance, and the autonomous zone of northern Syria's Rojava Kurds. Weinberg argues that far from being an irrelevant anachronism, a libertarian socialist vision is necessary for human survival. Listen on SoundCloud, and support our podcast via Patreon. ISIS leader Abu Bakr al-Baghdadi is reported to have fled to Afghanistan via Iran, to escape "Operation Roundup," a final offensive against remnant Islamic State pockets in Syria's eastern desert. The operation was launched last week by the US-backed, Kurdish-led Syrian Democratic Forces (SDF). London-based pan-Arab newspaper Asharq Al-Awsat reported that Baghdadi is believed to have reached Afghanistan's Nangarhar province, on the border with Pakistan. According to Pakistani security sources, Baghdadi crossed through the Iranian border city of Zahedan. The sources claimed Baghdadi received protection from Iran’s Revolutionary Guard Corps as he passed through the country's territory. ISIS now holds only three towns in Syria—Hajin, a-Baghouz and al-Sussa, all close to the Iraqi border. A Turkish court has sentenced a former British soldier to seven-and-a-half years for alleged links to Syria's Kurdish YPG militia, considered a "terrorist" group by Ankara. Joe Robinson of Leeds was arrested in Turkey in July 2017 after he apparently posted photos of himself in camouflage, posing beside fighters of the People's Protection Units (YPG) in Syria. A court in the western city of Aydin sentenced the 25-year-old for "membership of a terrorist organization" on Sept. 15. Robinson did not attend the trial for health reasons. He is currently on bail and planning an appeal. His Bulgarian fiancée, arrested along with him, was sentenced to nearly two years for "terrorist propaganda," but she is currently in the United Kingdom. The BBC reports that the fiancée, Mira Rojkan, was given a suspended sentence.